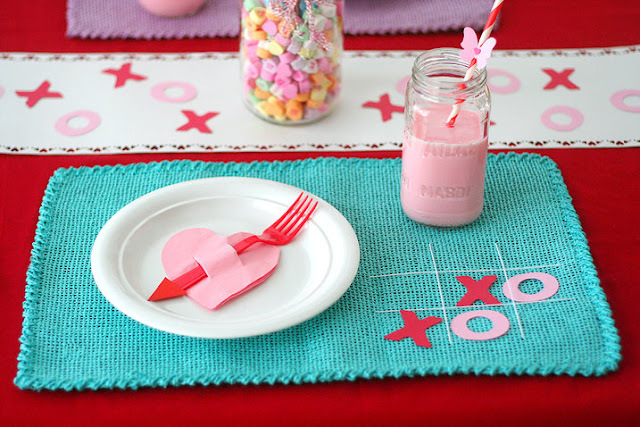 As always I am in love with every pink and red detail in Lisa's Valentine's Day party. And I can guarantee you that our table setting for our pink and red dinner will include heart shaped napkins with arrow forks pierced through them. She pretty much never ceases to amaze me. I believe this is her Valentine project from last year, so I can't wait to see what she has up her sleeve when February 14th gets closer. 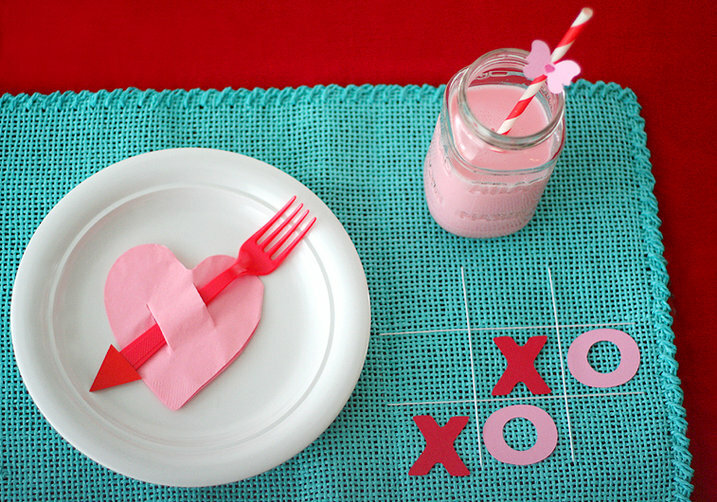 You can see all of Lisa's cute Valentine party ideas over at Fiskars.